Dreamlike, spacious duplex apartment, with an unbeatable location and privileged views. From the living room you can see the whole beach of Zarautz, the Mouse of Getaria and Mollarri. Located on the top floor of a building with elevator, it is located in a strategic place in Zarautz, in front of the beach of and a step away from the center of the city. It has a large living room, a terrace from which you will enjoy unimaginable sunsets, three bedrooms, two full bathrooms and a bathroom with bidet and washbasin, a modern independent kitchen. As soon as you open the door of the house you access the fabulous living-dining room. It is a large space, very bright and with great style, in which the most striking are the impressive views that can be seen through the large windows. The master bedroom is a pleasant space with excellent views over the beach and offers two single beds of 90 cm., And a bathroom incorporated in the same room. The kitchen of the house is perfectly equipped with appliances and kitchenware. Here you can share the most informal breakfasts and meals of your holidays. The house has a garage in the same urbanization with the possibility of parking two cars, something highly recommended since parking in the area in which it is located is especially difficult. 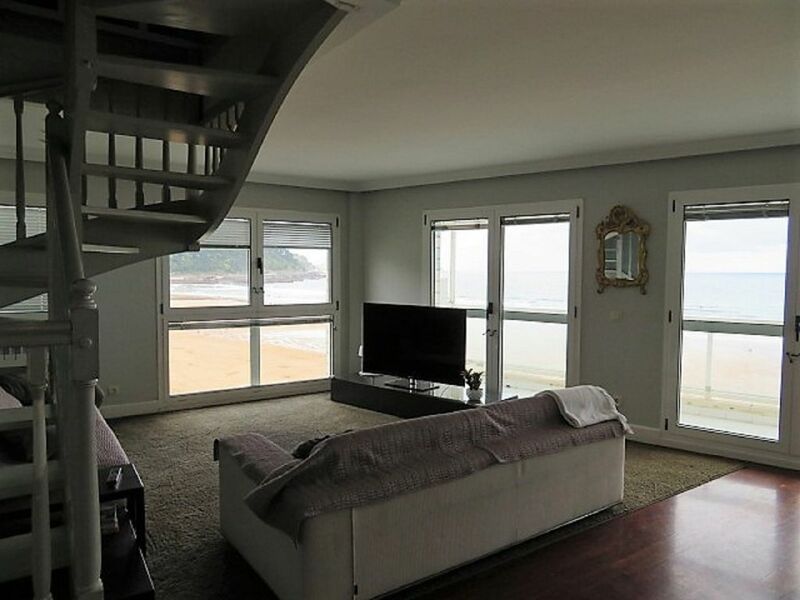 Due to its location, the amplitude it offers and, of course, the wonderful views it enjoys, it is the perfect accommodation that will help make your stay in Zarautz truly unforgettable. The house is located in a residential area, the bus stop is 2 minutes from the house and the train station is 5 minutes away. Zarautz is a village where you can practice both water sports and mountain.